Happy New Year from The Smokin’ Fox! From all of us, we hope you have a Smokin’ Christmas and a Foxin’ Great New Year! 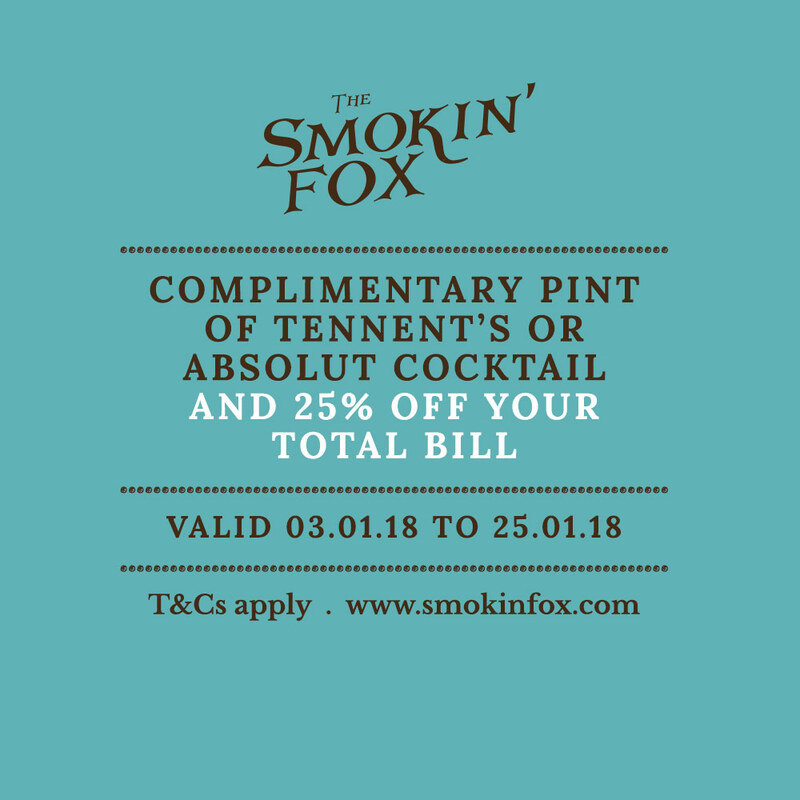 Bring in 2018 with 25% off your food bill and a cheeky tipple on arrival, all through January at The Smokin’ Fox! – Be sure to book in advance, quoting ‘January Sale’!